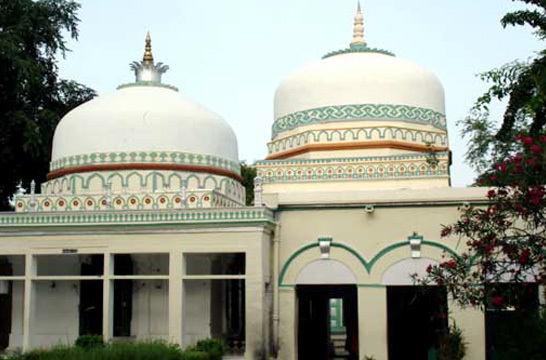 Hazrat Tabl-e-Aalam Badshah Nathar Auliya was a Sufi saint and among the first Sufis to bring Islam to South India and Sri Lanka.He came to Trichy in the 11th century.Nathar Vali's origin is unclear, though various legends describe him as a Byzantine nobleman, who left his comfortable life in search of murshid (spiritual preceptor). He was commanded by Mohammed Rasoolallah to spread Islam in India. He was a qalandar (unmarried saint) came to India along with 900 qalandars to spread Sufi Islam. aba Nathar Auliya was invoked into Sufism by Hazrat Shiekh Ali Zawalqi Par Parwaaz (R.A) an accomplished master into Suharwardia order. 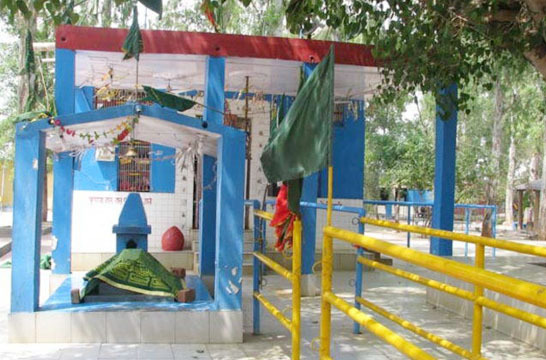 He is belived to be known as Hazrat Dada Hayat Qalandar and Hazrat Mardan-e-Gyb by his spiritual presence in Dada Pahad and Sivanasamudram (Both in Karnataka). He was born in Hijiri 347 in Bahanasa, some where near Turkey. During the 7th day from the birth, the holy child was named as "Hazrath Syed Muthahharuddeen. When he was 21 years old, he experienced an unusual dream in which he saw person burning in Hell fire and he was shouting because he couldn't tolerate those tortures in Hell. He asked him with sympathy - Who are you? Why are you given so much of troubles? What mistakes did you do in Dhuniya? He then replied that he did a lot of injustice to people when he ruled his kingdom and he was happy by doing such things, due to all that, he was in the Hell and was being tortured to the core. After the dream was over, he saw another dream in which there was a beautiful garden with colorful flowers throwing a peaceful smell all four sides. In the middle of the garden, there was a palace decorated by Navarathna, inside which an old man with full of nooraniyyath in his face was involved in zikr. He reached the old man, the old man stopped his zikr and look at the former who asks the later - May I know who you are? How did you get such a greatest status here? What kind of life did you run in Dhuniya? The old man replied that he was a faqir and was roaming pillar to post in Dhuniya. Except the time he worked for earning money for his livelihood, he used to be in zikr, namaz and perform good things in his life. Due to all that, ALLAHU Jalla Shanahu Thaala offered me this status here. The dream was over then. After these dreams became restless and lost his day to day life peace and was always thinking about the dream. He started hating the life as a King and its bitterness increased day by day. When he couldn't control himself with such feelings, he felt like his heart would burst out. One fine day, he called his younger brother, Hazrath Sulthan Syed Jalaluddeen (RA) and two ministers and explained about his dream and his decision to to leave the kingdom and go in search of his Peer-o-Murshid. 900 people joined him including his two ministers Hazrath Shamsuddeen urf Hazrath Shams Goya (RA) and Hazrath Shamsullah urf Shams Farrah (RA). They started their journey searching for their Peer-o-Murshid. Hazrath Sheikh Ali (RA) welcomed Hazrath Syed Muthahharuddeen and offered Bayyath in his holy hand naming him "Nath'har" in the Tareeq. After the incident, the name Nath'har became famous all over the world and it was heard everywhere and anywhere. The saint breathed his last on the 15th of the month of Ramzan in Hijiri 417 and with a view to remember this day, the first 17days in the month of Ramzan every year kanduri Urs is celebrated in a highly grand scale it is a unique feature to see Muslims, Hindus and Christians assemble to pay their homage and warm respects to Baba Natharvali on the eve of the kanduri festival and seek his graceful blessings .